During my stay in Hong Kong, I brought a lot of skincare stuff. They were mostly things to keep my face hydrated. My skin originally falls within the oily category but after using The Regimen from Acne.org my skin has been dry as the desert. I originally use the pink bottle cap one (for sensitive skin). 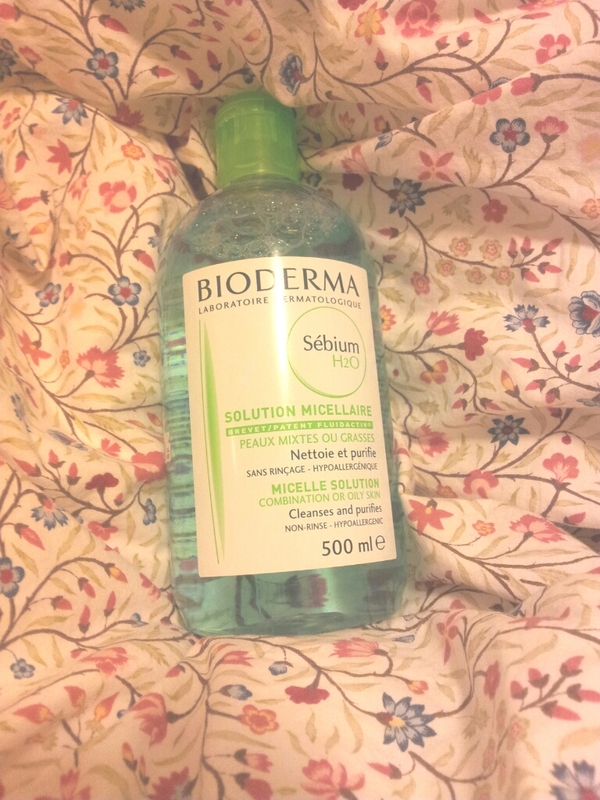 I was thinking of switching to this green bottle cap one after my skin is all heal up from using the regimen. Its such a good deal to buy this makeup remover in Hong Kong, only cost $148hkd (~$20cnd) @ Sasa. Where as in Canada, cost around $30! The Saem is a Korean brand that started out in 2010. Came across this brand when I was at Hysan Place. The honey aloe essence is kinda of like facial mask that hydrates your lips with collagen in it (according to what the sales told me) and after, use the mini doll honey lip balm to help lock down the water component. I just tried on as we speak, I can smell a strong sense of honey in The Honey Aloe Essence. 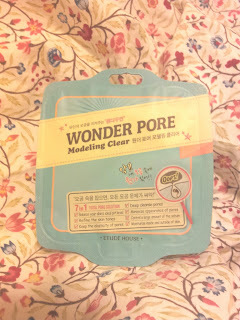 Overall, it feels like I just put a blob of honey onto my lips..
Etude House Wonder Pore Modeling Clear Correct me if I am wrong, Etude House is a Korean brand that have launched in Hong Kong recently. Their over all packaging is very cute, which attracts a lot of young teenagers/women to fall in love with it. 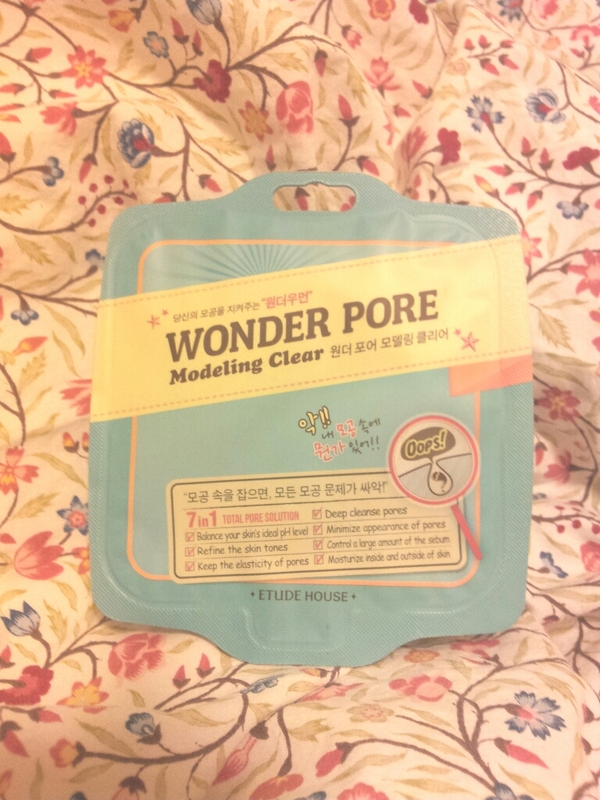 With the wonder pore modeling clear, it states to: deep cleanse pores, balance your skin's ideal pH level, minimize appearance of pores, refine the skin tones, control a large amount if the sebum, keep the elasticity of pores, and moisturize inside and outside of skin. Will definitely do a review on this later! 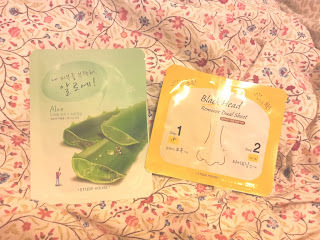 Right: BlackHead Remover Dual Sheet I also got some aloe masks and blackhead remover dual sheet at Etude House.I really liked the their aloe masks. When I first removed the mask out of the packaging it feels very moist and hydrated. On the packing, it says the each mask contains 1000mg of aloe and serum which helps keep your skin hydrated, smooth and prevents acne. 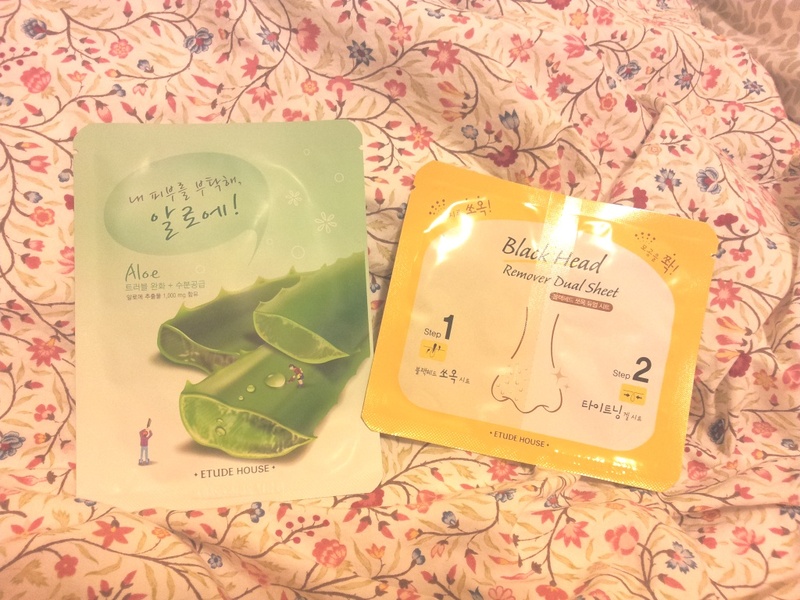 As for the blackhead one, its basically a black head remover sheet and a gel sheet that helps tighten your pores after removing your blackheads. 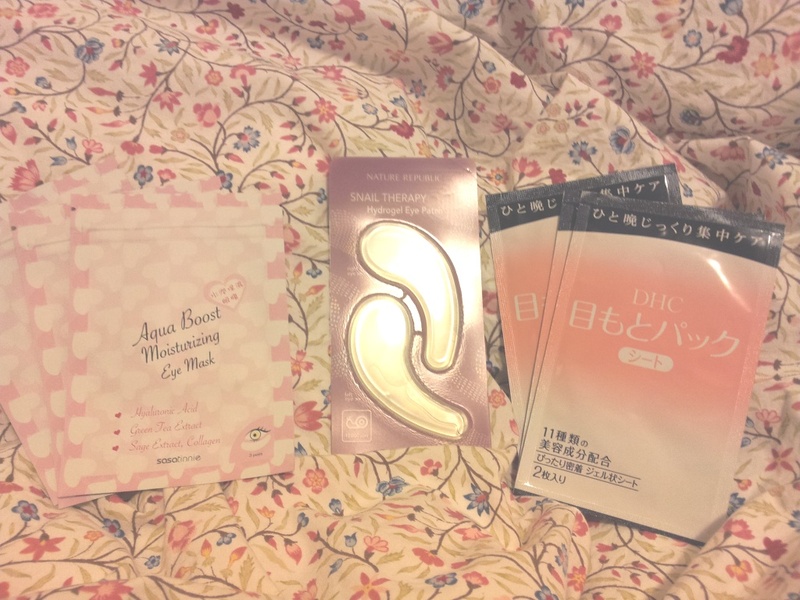 Left: Sasa Aqua Boost Moisturizing Eye This came in a box with 20 little zip lock bags, and each zip lock contains 3 pairs of eye masks. So in total you get 60 pairs of eye mask for the total of $89HKD. 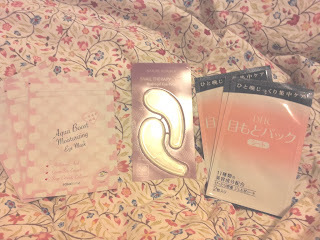 Middle: Nature Republic Snail Therapy 10,000 Hydrogel Eye Patch ($35hkd) I haven't tried this yet, but the sales sells this eye mask as tho it was magic. It contains snail skin that has the capacity of restoring tissue- eliminating wrinkles, scars and help fight cellulite and acne. I brought this again because I liked how you can just stick on without having any gel-ly residual on your hands. Very convenient and clean!